A unique place of traditional Cornish character; set in pasture with its own pond and stream that leads to the nearby Porthtowan beach. ‘Old Basset Cottage’ holiday accommodation is the original 17th century farmhouse on Wheal Basset Farm. Now completely renovated to a very high standard it sleeps up to 4 people and has its own small garden with picnic bench and BBQ. The interior consists of a large fully equipped kitchen, large open plan lounge/dining room, luxury bathroom, and two bedrooms – one double and one twin – making it ideal for a family holiday in Cornwall. 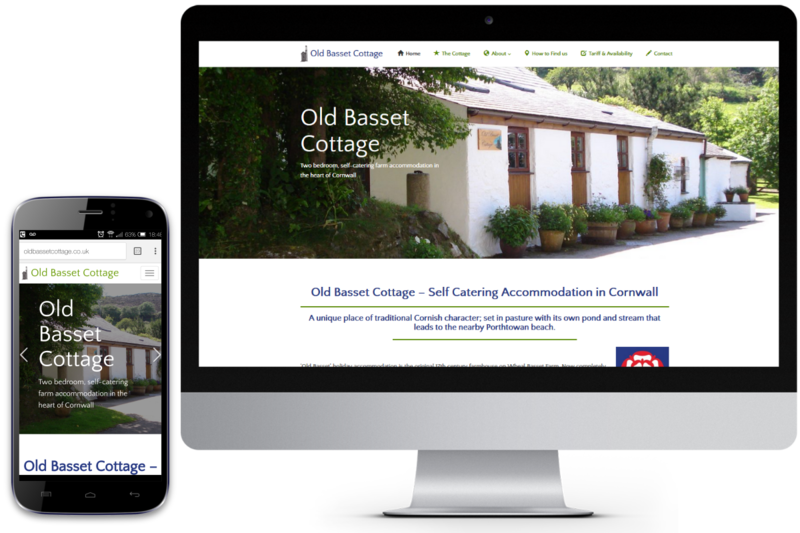 The sea and award winning sandy beaches are only a mile away, and being just 5 minutes from the A30 Old Basset Cottage is centrally located for exploring all areas of Cornwall.